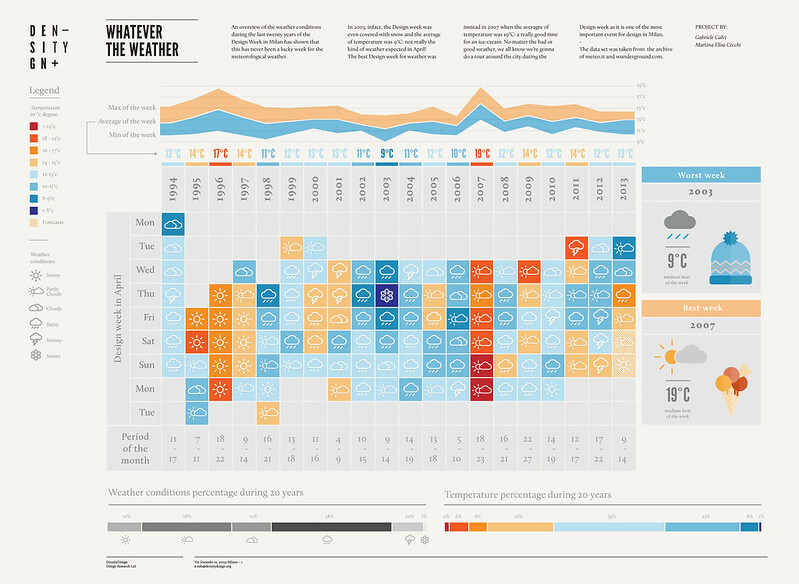 An overview of the weather conditions during the last twenty years of the Design Week in Milan has shown that this has never been a lucky week for the meteorological weather. In 2003, infact, the Design week was even covered with snow and the average of temperature was 9°C: not really the kind of weather expected in April! The best Design week for weather was instead in 2007 when the average of temperature was 19°C: a really good time for an ice-cream. No matter the bad or good weather, we all know we’re gonna do a tour around the city during the Design week as it is one of the most important events for design in Milan.